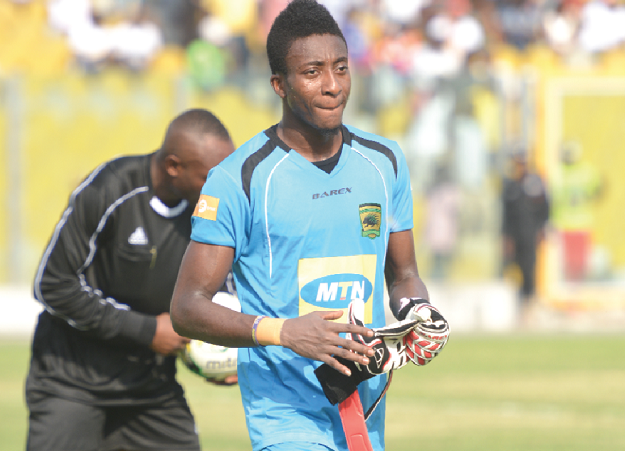 Asante Kotoko goalkeeper Felix Annan is satisfied with his side's 1-1 draw at Bechem United on Match Day 5 of the GFA Special Competition. The high-flying Porcupine Warriors had to come from a goal down to salvage a point against the stubborn Hunters at the Nana Gyeabour Park. Despite the stalemate, the Reds to the table in Zone A with the impressive shot-stopper delight by his side's performance. "Not A Bad Results Away From Home! Good Fight Lads! Unto The Next One! Lets Keep Going,' he posted on Twitter. Fatawu Safiu netted from the penalty spot as the Porcupine Warriors avoided a shock defeat. Kojo Owusu Achaw opened the scoring with a header from a corner to gift Bechem the lead. But Safiu stepped up onto the plate once again. The striker won a penalty and converted with aplomb to restore parity. With today's goal, Fatawu has now scored five goals and sits comfortably at the top of the goalscorers chart after five games.